When the term chronic disease is stated, what pops into your mind? Diabetes, heart disease, and cancer are a few common and quite frankly, scary diagnoses. Now let’s dig a little deeper, when you think of a chronic disease that can debilitate an organ, what is the scariest we can think of? Certainly a large majority of individuals would choose the eyes. Vision is a vital sense after all. Cataracts and glaucoma are common, worrisome disease that rob eyesight, but what about that other one? The one that can be really bad and can drastically reduce the central vision? 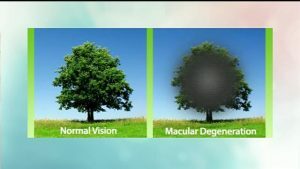 Age-related macular degeneration (AMD) is a diagnosis that no one wants to receive. It has a reputation of blinding individuals and making life absolutely miserable. 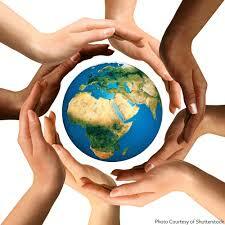 Worldwide, it is estimated that roughly 6.2 million people suffer from AMD. So what exactly is AMD and how can we prevent it? Age-related macular degeneration, as defined by its namesake, is a disease that affects the macula. The macula is a tiny pit of concentrated photoreceptors on the retina (back of the eye). This area is responsible for our central vision, and due to its concentration of photoreceptors, also happens to be point of sharpest vision. The progression of AMD tends to be slow. Early signs of AMD are often detected at an annual eye exam by means of dilated retinal exam or retinal photos. AMD may present in one eye or both eyes. If it occurs in both eyes, the severity between eyes may be different. As the disease process progresses, the patient slowly begins to lose his/her central vision. This becomes problematic since this is the sharpest part of our vision, responsible for recognizing faces, reading or driving. Even if central vision is completely compromised, advanced AMD patients tend to still have some peripheral vision left, so they are not completely blind. There are two types of AMD, dry and wet. The type of AMD is diagnosed based upon its appearance. 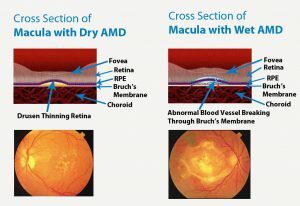 Dry AMD unfortunately has no treatment options. Wet AMD can be treated with a variety of methods including laser photocoagulation and injection of anti-VEGF factors such as Lucentis or Avastin. 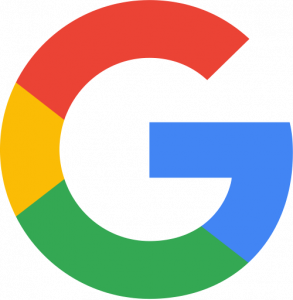 Keep in mind that these treatments do not cure AMD, they simply try to slow down or possibly halt the disease where it is at. AMD finds its roots in genetics, demographics, environmental and lifestyle factors. 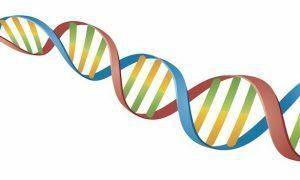 Genetic mutations in genes including HTRA1, SERPING1 and Fibulin-5 have all been linked to development of AMD. Current genetic testing technologies are able to locate these genes and help with early treatment. Demographics play a big role in development of AMD. 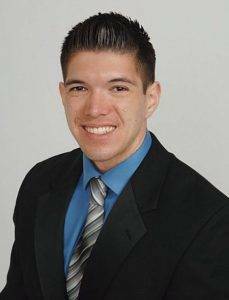 As stated in its name, the disease is age-related and most often occurs in older individuals. Individuals with fair complexions and lighter skin seem to develop AMD at a higher rate than their counterparts. Related factors that can further put the patient at risk for AMD are atherosclerosis, hypertension (high blood pressure) and family history. 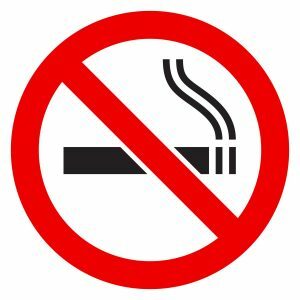 Lifestyle factors, especially smoking, can lead to AMD. Besides smoking, diets that are deficient in leafy green vegetables and frequent unprotected exposure to UV light can lead an individual down the road of developing AMD. So how do we prevent AMD from occurring? How do we treat AMD when it does happen? AMD is slow, progressive disease and generally comes in stages. 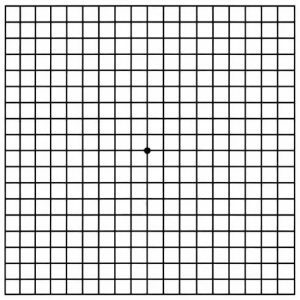 During early stages, there is often no treatment, and the condition is monitored with regular eye exams and devices such as the Amsler grid, which is pictured below. 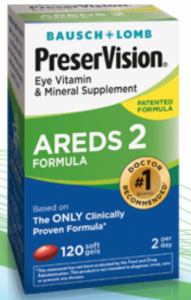 During the early to middle stages of AMD, eye doctors may recommend an AREDS II supplement, in addition to the Big Four. Brand names for this supplement include Preservision, Ocuvite and Tozal. The AREDS II supplement formula is a variety of vitamins and antioxidants that have shown to be beneficial in slowing AMD through clinical trials. When AMD gets to the more advanced stages, certain variants such as advanced wet AMD may require intravitreal injections such as Lucentis, Avastin or Eylea. These injections are administered into the eyeball and contain factors that slow the disease from progressing even further. 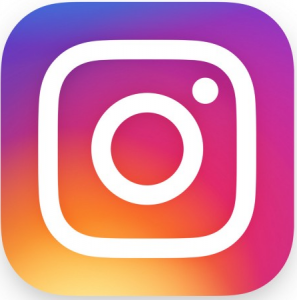 Dr. Aaron Neufeld is the Chief Optometrist at Los Altos Optometric Group and primary author and editor of The EYE Digest.